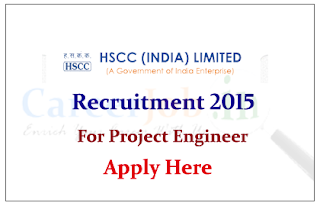 HSCC India Limited is recruiting for the post of Project Engineer. 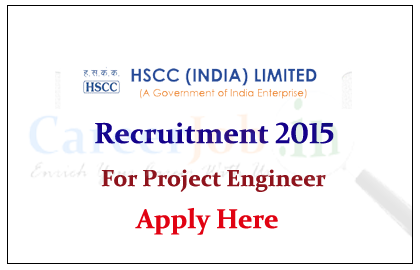 Interested and Eligible candidate can apply on or before 31st July 2015. Company Profile: HSCC was set up in 1983 with an authorised capital of Rs. 20 million, HSCC is one of the few organisation in South East Asia, rendering comprehensive range of professional consultancy services in health-care and other social sectors, in India and abroad. How to Apply: Interested and eligible candidate can apply on or before 31.07.2015. For more details kindly check official notification.